Despite tight farm budgets and the uncertainties of Brexit, averages held up well at the Beltex Scotland club sale held at Lanark. 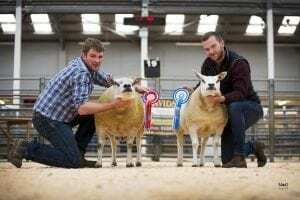 The pre-sale show judge, Ross Williams tapped out as his champion a shearling ram from the Taylor family’s Heatheryhall flock which is based locally, at Heatheryhall Farm, Pettinain and is run by brothers Alan and Tommy. Their champion is by the 10,000gns Quarrymount William Wallace out of a daughter of Tacherhill Regal. 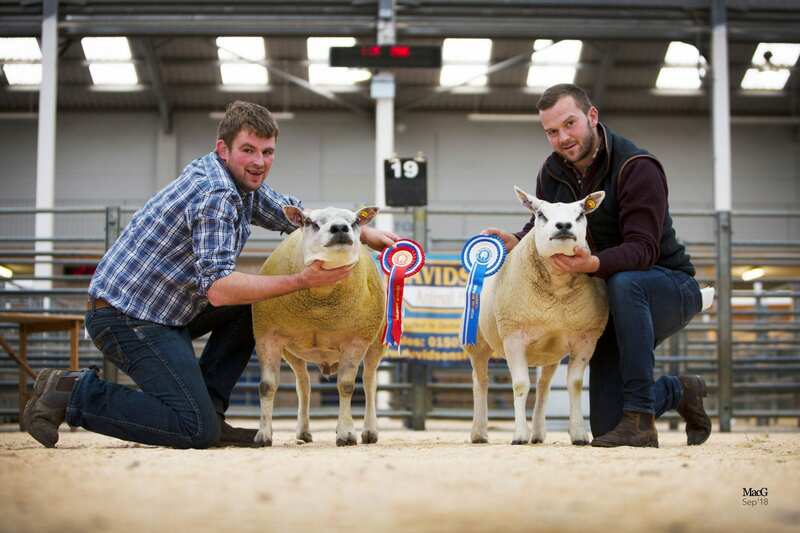 The successful bidders, at 3,800gns were Mair & Partners, Muirfield, Turriff and the Buckle family from Kirkby Stephen, Cumbria. A second William Wallace son, Heatheryhall Control, out of Heatheryhall Tiara, sold at 1250 gns to Brian Wylie, Balbrydie, Kirriemuir, while Heatheryhall Chunkchops went at 1200gns to Messrs Menzies , Baledmund, Pitlochry. 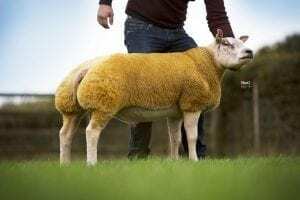 This ram is by Rathbone Aggressive out of Heatheryhall Thug. Alasdair MacLean’s Tiree flock based at Heylipol on the Isle of Tiree, achieved the day’s second top price selling Tiree Chip at 2,100gns in a 3-way split between Andrew Baillie, Carstairs Mains, Lanark, Michael Russell, Lamington, Biggar and Kenny O’Connor, Carstairs, Lanark. 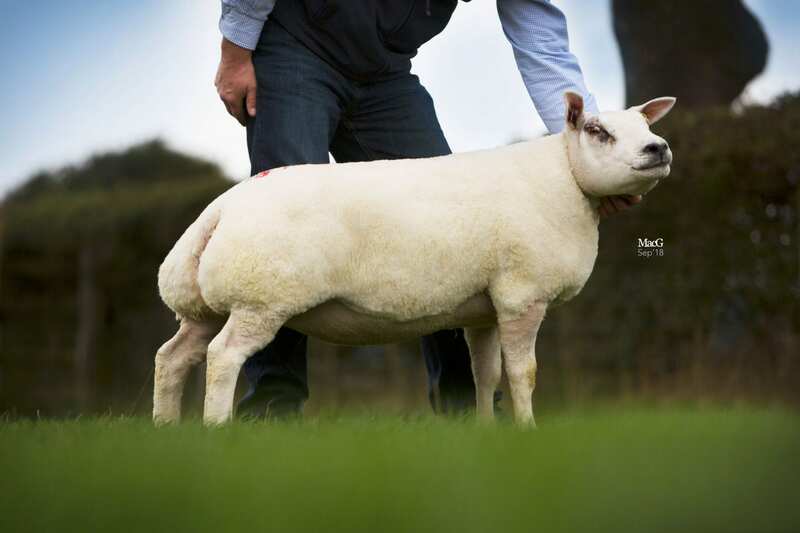 The ram was sired by Callacrag Wise Crack out of a Beechtree Maxi Muscle daughter. 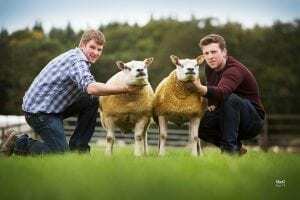 Berwickshire breeder, Neil Harvey, Blackadder Mains, Duns followed up his success at the previous week’s Kelso ram sale, by selling twin rams by The Bare Boy out of Artnagullion Ava at four-figure prices. Blackadder Coby, was knocked down at 1,700 gns to I Knight, Stephney Farm, Seascale, Cumbria, while his twin, Blackadder Cupcake went at 1,000gns to W Cook, Potterson Farm, Dalrymple, Ayrshire. 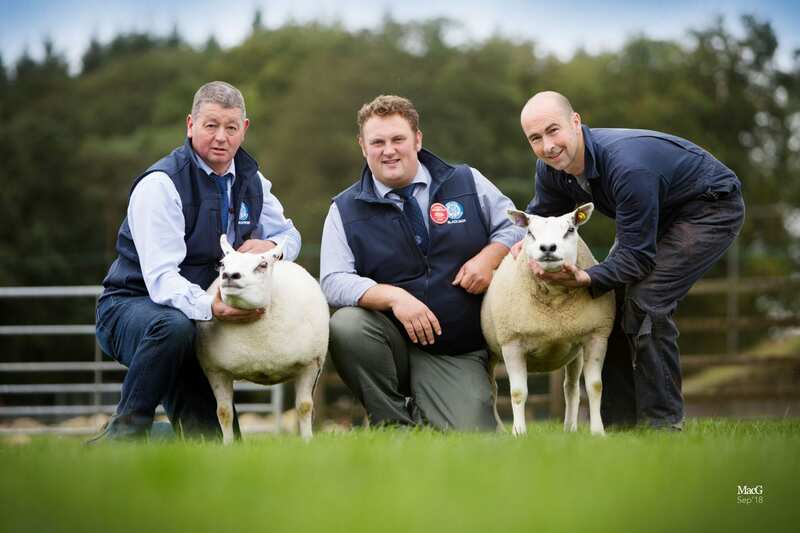 The Mair family enjoyed a run of four-figure prices for their Aviemore pen, selling to a top of 1,550gns for Aviemore Carry On 3, an Airyolland Wee Jimmy ET son out of Aviemore Wendoline 2. Buyer was Colin Little, East Bracklinn, Callander. 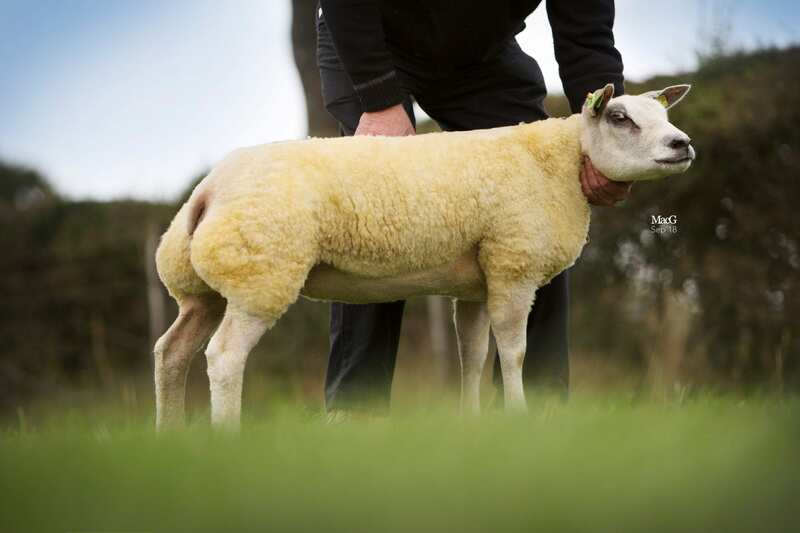 Another Wee Jimmy son, Aviemore Couples 2 out of Aviemore Trixie sold at 1,350 gns to J Halliday, Linhead, Lockerbie. Aviemore Crescendo 2 ET by Loandhu Bonzo ET out of Aviemore Wanda sold at 1,200 gns to Mr Armstrong, Penrith. Later in the sale, a full sister, Aviemore Curie ET, topped the sale of females at 1700gns selling to Northern Ireland breeder Gary Beacom for his Lakeview Beltex flock. 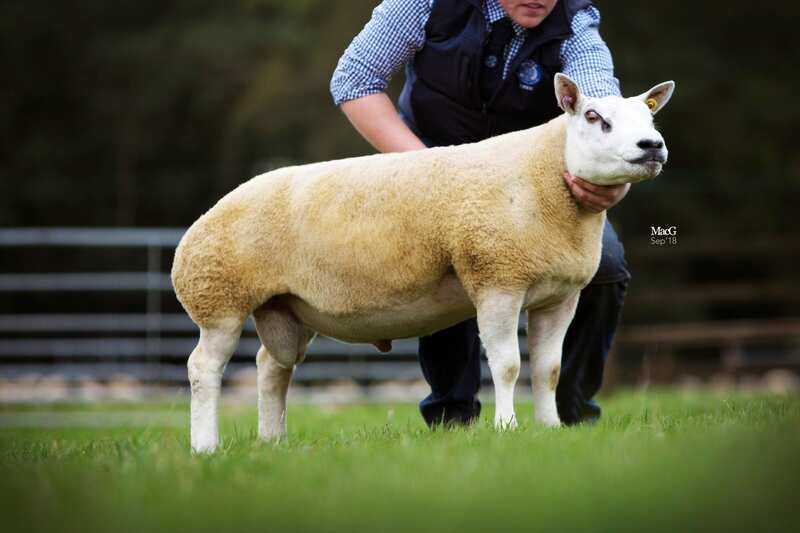 An Orkney-bred Wee Jimmy son in Raymond Flaws’s Woodwick pen, from Nisthouse, Evie, caught the eye of Fife breeder Clark Stewart, Kinninmonth, Cupar who forked out 1,450 gns for this shearling ram whose dam, Woodwick Adele is a Corstane Whistler daughter. In another Cupar – Orkney deal, Ian Wainwright, Todhall, Cupar sold Todhall Cole at 1300gns to Messrs Miller, Haquoy, Orkney. 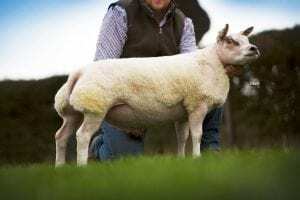 This ram is a Woodies Bad Boy ET son out of Todhall Aphrodite. 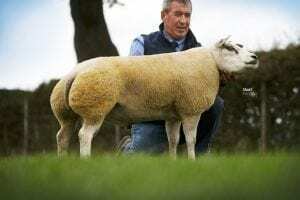 Next best from the Todhall pen, at 1250 gns was Todhall Cracker, sired by Rathbone Alien out of Todhall Adore. He was knocked down to Aberdeenshire breeders J & L Young, Muirton Corse, Alford. 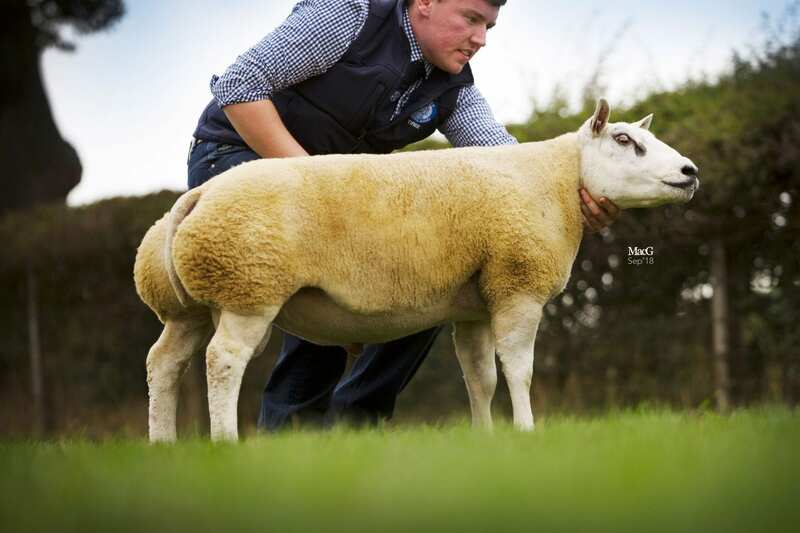 Ram lambs sold to 1800gns for Ivanhoe Dynamo, the sole entry from James Bailey, Wyvill Grange Farm, Bedale, N Yorks. 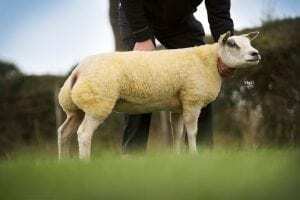 By Aviemore Bookem out of an imported ewe, this lamb went the partnership of Stuart Wood, Woolhillock, Skene, Aberdeen, and Dafydd Owen, Rowen, Conwy, N Wales. The next best lamb price of 1700gns was paid for a lamb from Matthew Burleigh, Kinawley, Co Fermanagh in Northern Ireland. Matt’s Deluxe ET, a Hackney Corker son out of Matt’s Atomic was bought by P & A Moss, Ewebank Farm, Rokeby, Co Durham. 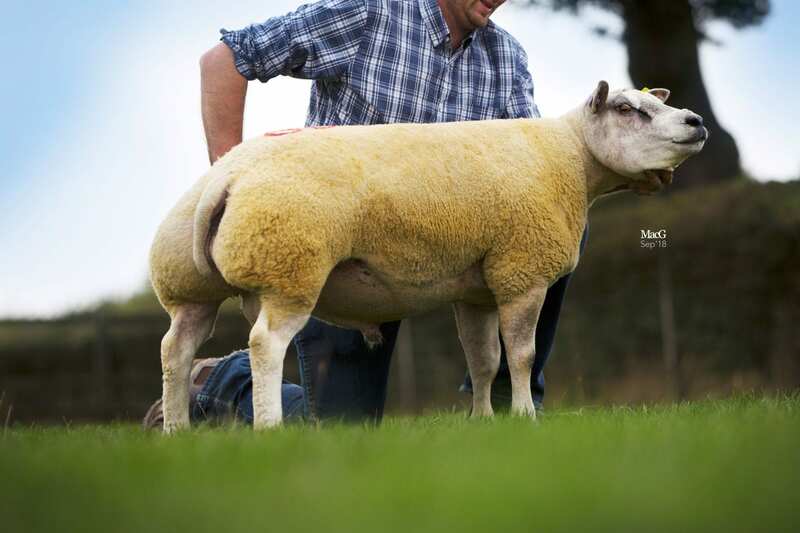 Another by the same sire out of Clary Whoopi-Do ET went at 1150gns to Andrew Morton, Lochend Farm, Denny. R & S Redpath’s Stairhaven pen was topped at 1200gns for Stairhaven Dynamite, a triplet son of Lugate Awesome out of Stairhaven Wildchild. 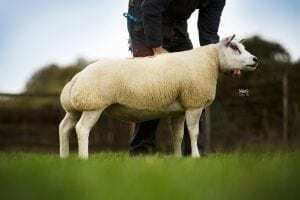 Buyer was Brian Matthews, Quarrymount House, Killeigh, Co Offaly, Eire.